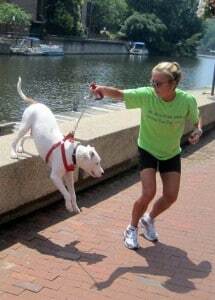 Step up your dog’s daily workout routine with these fun strength-conditioning activities! These exercises can help build-up your furry friend’s body and prevent injuries that may result from repetitive exercises, such as running. You’ll also enjoy the added benefits of improved attentiveness and behavior! Activity: Have your dog sit, stand; repeat 8 times. On walks, have your dog sit at every road crossing. Benefits: Increased strength in gluteal muscles, hamstrings and quadriceps. Improves power in the hind limbs, too! 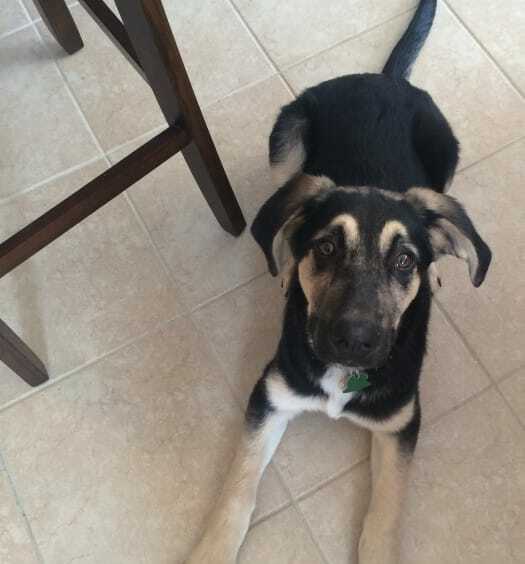 Activity: Pick up your dog’s forelimbs and encourage him or her to walk backwards and forwards (slowly at first). For smaller dogs, get on your knees. Benefits: Increased strength in gluteal muscles, hamstrings and back. Improves jumping strength and power in the hind limbs. Activity: Place 3-4 objects, such as chairs or sticks, in a line. Have your dog weave in and around the objects 3 or 4 times. Benefits: Increases flexibility, improves coordination and helps strengthen your dog’s back. Other Options: On regular walks or runs, locate natural “weave poles,” like light poles, benches and trees and make a game of looping through them. Activity: On regular walks or runs, jump over low rocks, logs or streams. Benefits: Increases attentiveness and general strength and agility. Activity: Find a sandy area to run or walk your dog. Benefits: Works on overall core strength, improves coordination and helps strengthen your dog’s back. Activity: Walk up and down stairs, hills, etc. as part of your daily walk or run. Benefits: Forces a dog’s weight to shift fully onto front or hind legs and builds muscles in the shoulders and thighs. Check with your vet before embarking on any new exercise routines. 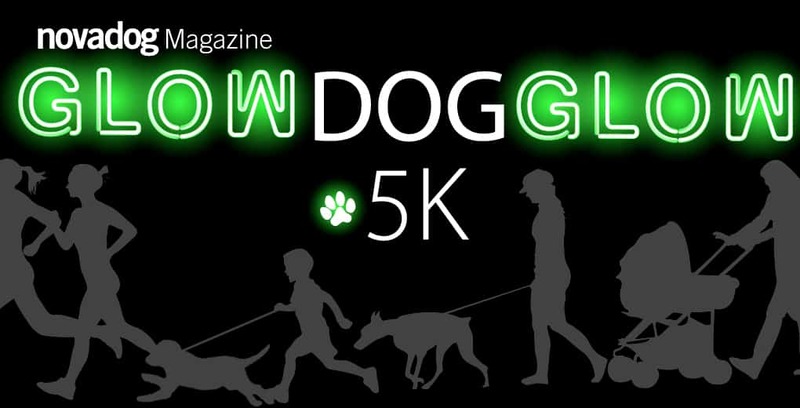 For more information on fitness activities for you and your dog, visit DogOn Fitness’ official website – http://www.dogonfitness.com/. 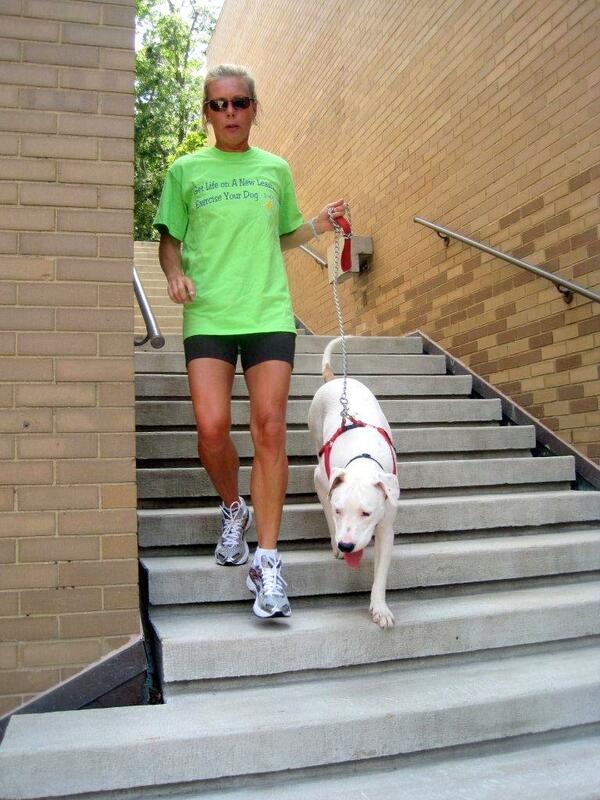 Carol Brooks is co-owner of DogOn Fitness, a daily dog service that specializes in exercise and training reinforcement. She also writes the quarterly, “Hit the Trail” feature for NOVADog Magazine. To learn more about DogOn Fitness, visit our website at http://www.dogonfitness.com/. 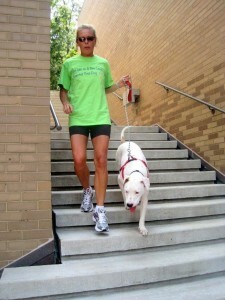 Check out our Facebook page https://www.facebook.com/DogOnFitness for news on upcoming socialization and fitness hikes.